Reggae is a family ting. It's one of the few genres which have well-equipped kids' corners on even the biggest festivals, where children are a common sight in backstage-areas and the song lyrics "teach the youths" can be heard on every other album. And it's probably the only genre where music is so directly passed on from one generation to the next, almost as if it is indeed running in the blood. Next to the extensive and ever-growing Marley clan, artists like Dennis Brown, Max Romeo and Determine have managed to fully endorse their children in the art of singing, blessing the world with talents such as Marla Brown, Azizzi and Xana Romeo or Runkus. 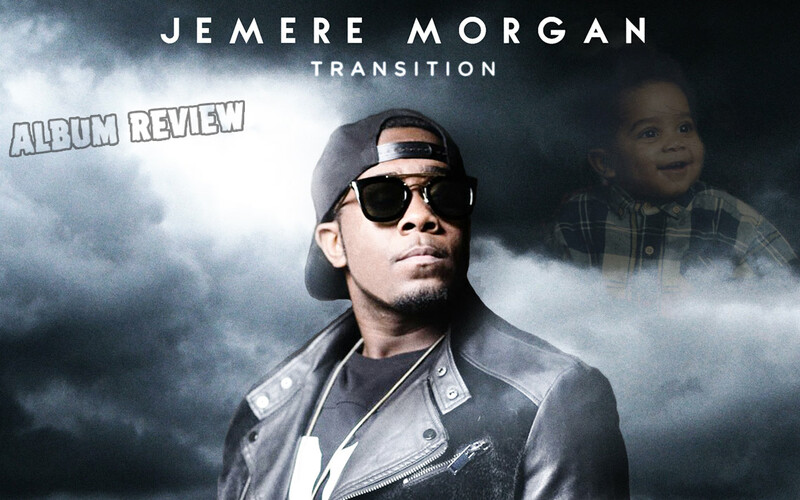 A third-generation offspring, Roy Morgan Jr. aka Jemere Morgan is now passing on the musical tradition of the mighty Morgan family. His debut Transition is a full-fledged album, presenting his personal take on Reggae in none less than 17 tracks. Of these, more than half are dedicated to the ladies, crooning alone (Forever Girl, Shine With Me, She's Gone, Anything You Want, International Love, Take Me Home) or in duet with illustrious guests such as Jo Mersa Marley (Shouldn't Have), Stonebwoy (A.C.B) and Agent Sasco (Neighborhood Girl) about love, affection and all that comes with it. The latter is a remix riding a fresh take on the beautiful and ever green Tenement Yard riddim, giving Assassin plenty room to unfold his trademark voice. Another well-known old friend sends his greetings in Celebrate Life, for which a sped-up Bam Bam riddim version laid the base. Daddy Gramps Morgan, who gave his son a spot on his stage shows during the past few years, supports him on his first release as well, appearing on this song and on Try Jah Love. The youngster thus touches on issues present in Rastafarian meditations, too, adding to the above the pensive War, Good Old Roots (audible parallels to Morgan Heritage's songs Light It Up or Strictly Roots are no coincidence, as uncle Peetah Morgan wrote the song along with his nephew) and the J Boog combination Shakers & Movers. Despite this well-established connection, the album is an urban one, oriented more to a young, metropolitan audience than to Roots or Revival enthusiasts. Tracks like Run Dem Out or the Toian-feature Bang Bang have a distinct modern sound that may well pave the way to Jemere's musical future. The stand-out piece of the album, however, is the title track Transition. Here, both lyrical and vocal delivery of the young artist are at their best, well-positioned on a beautiful riddim created by the French Bost & Bim. The wide variety of producers is another strength of the album – Riff Raff, Markus Myrie, Chimney Records, Jonny Grande, Antony Mutiga, Stanley "Hallee" Hayden, Jr. Blender, DJ Frass, Jugglerz and the team of Notis Records made sure that both lovers of digital riddims and live-instrumental-fans are satisfied. Chapeau, Mr. Morgan! The album Transition is a solid and promising entry into the constantly expanding world of Reggae music, a world in which this youngster will certainly leave a mark.